I have been seeing a lot of posts on Facebook about this newly opened churroshop at the north wing of Sm City Cebu. I personally am not a fan of churros but for the heck of dipping into the mainstream, I went ahead and tried it. There wasn’t a line when I went there on a Thursday afternoon and hence I was able to order in a jiffy. Also, The order came in less than three minutes which was pretty impressive. I ordered the Mixed Version with their dark chocolate dipped and their classico. Portion size? Pretty impressive. It was an overwhelming serving of six. Aesthetics? It looked really good. The classic one was fresh and hot while the dark chocolate dipped was cold which I think is because of the chocolate. Taste? I have tasted real Spanish churros in Spain and I must say, the classicos tasted a bit like the ones that I had albeit more crispier. On the other hand, the dark chocolate was okay and I loved the fact that it wasnt too sweet. Both were however a bit too oily but I guess churros are known to be like that. Comments? 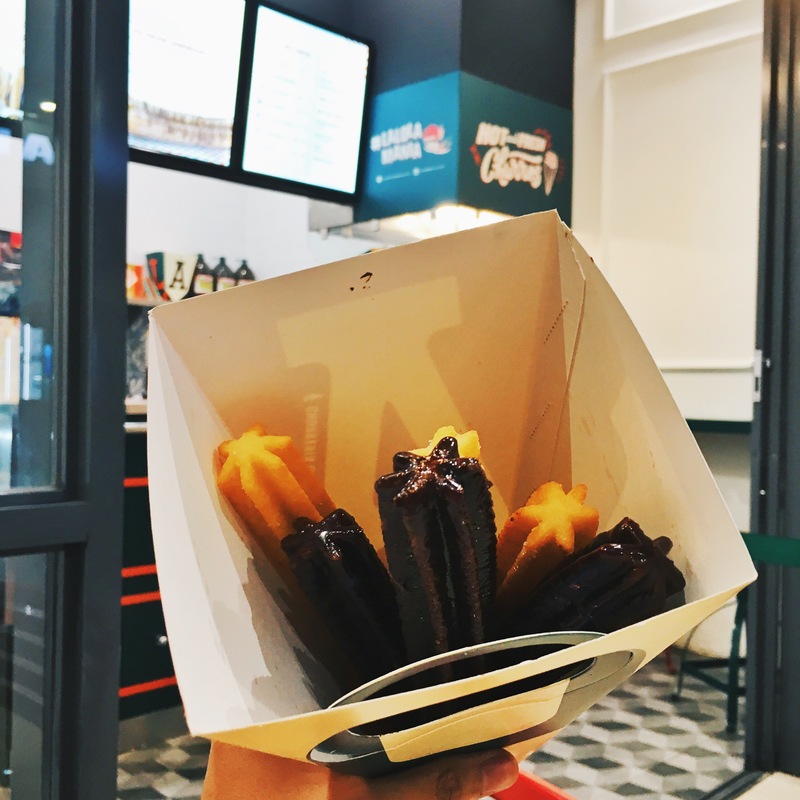 Would have liked it better if they’d offer a smaller serving or a solo version of their churros because having six pastries in one sitting is pretty overwhelming. It is, on the contrary, good for sharing. Overall Rating? Definitely would rate it a 8/10. Would definitely try their matcha and their white chocolate dipped next time.